Communication is probably the most important tool we have when it comes to co-existing with others. Not only does it alert us to the needs and feelings of others, but self-expression is an absolutely essential factor in our own individual happiness. When communication isn’t running smoothly, our relationships suffer, resentment builds, misunderstandings ensue, and we can feel bottled up, unheard, and frustrated. Early on, we’re taught certain styles of communication, which are modelled after our parents. These styles are not always the most effective or healthy, and can get carried into our adult lives, wreaking havoc on our primary relationships. Of course identifying the problem is always the first step towards change, so which styles of communication do you use? 1. Passive Communication. This is the style most used by the people-pleasers of the world, and is tell-tale sign of low self-esteem and lack of self-confidence. Instead of communicating your own needs and opinions, you hide them in an effort to avoid confrontation. Unfortunately, the result is resentment and anger, and worst of all, you’re never truly able to let someone see the real you. Everyone loses with this form (or lack thereof) of communication. 2. Passive-Aggressive Communication. This style is highly manipulative, because while you act passive, what’s driving you inside is a strong aggression and need for control. Initially you hide your needs and feelings to avoid confrontation, but you then switch to using indirect, dishonest, and subtle ways to illicit guilt, anger and embarrassment as a means to control. When communication constantly has a subtext and is underhanded, it will never resolve anything. It’s a house of cards that will inevitably fall down at some point. 3. Aggressive Communication. This style usually comes from a lack of respect and empathy and involves trying to force your opinions on others. This could be shown in ways like always needing to be right and refusing to “let” the other person have their own opinions, to yelling and having a temper tantrum. 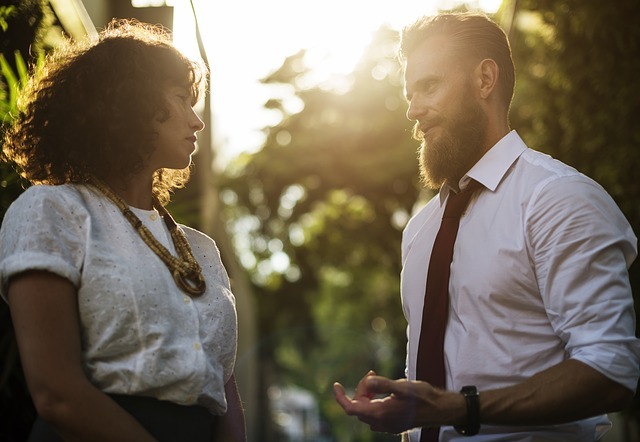 Often an aggressive communicator and a passive communicator will be in a relationship, working out their personal issues through their complimentary but horribly unhealthy communication styles. If one person dictates the ideas, opinions and needs of the other, it will most certainly explode eventually. 4. Assertive Communication. This is the style we should all strive for. It’s based on the assumption that each person’s opinions, needs, and wants are equally important in a relationship. Each individual knows what they need to be happy, understands when compromising is necessary, and always listens to the other person with respect and compassion. This type of communication indicates the relationship is based on a healthy foundation of mutual respect, and conflict resolution is not only possible, but probable. Ragna Stamm'ler-Adamson is the Founder & CEO of 25Dates.com.She created the company to bring singles together to find love.She enjoys contributing to the blog to let others know that they too can find lasting love as she did:In 2006 she met her loving husband and in 2008, together they were blessed with a beautiful baby boy. This entry was posted in Dating How To's. Bookmark the permalink.